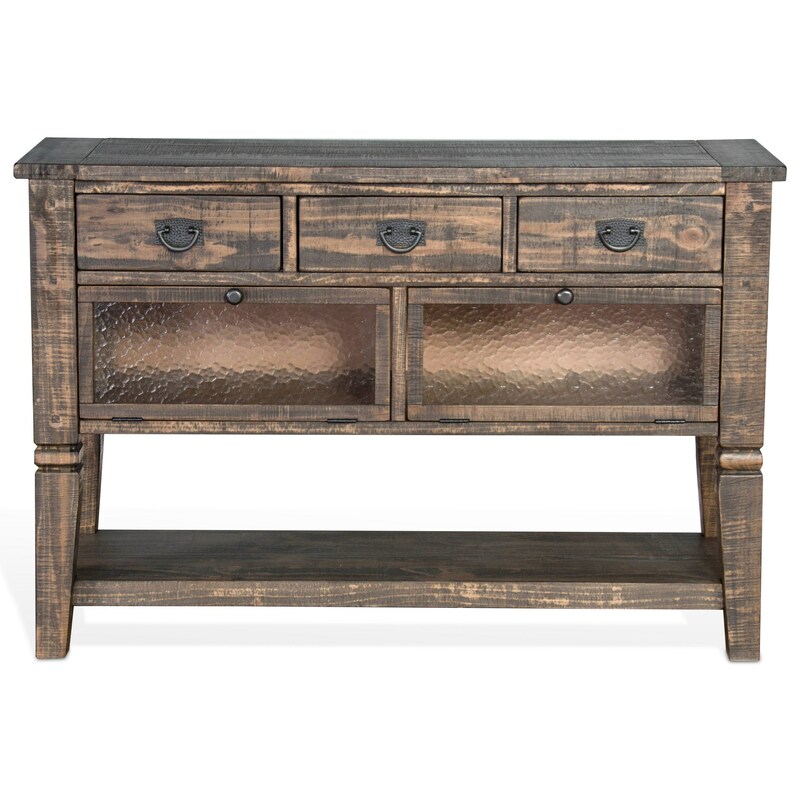 Rustic style abounds with this server for your dining room. Flip down doors with seeded glass add a unique design element to this storage and display piece. 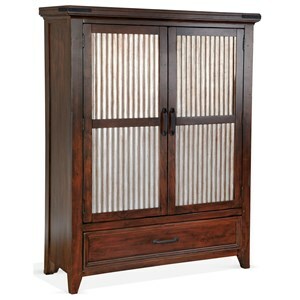 Its mahogany veneers showcase rough sawn distressing for added character. The Homestead 2 Rustic Pine Server with Seeded Glass Doors by VFM Signature at Virginia Furniture Market in the Rocky Mount, Roanoke, Lynchburg, Christiansburg, Blacksburg, Virginia area. Product availability may vary. Contact us for the most current availability on this product.